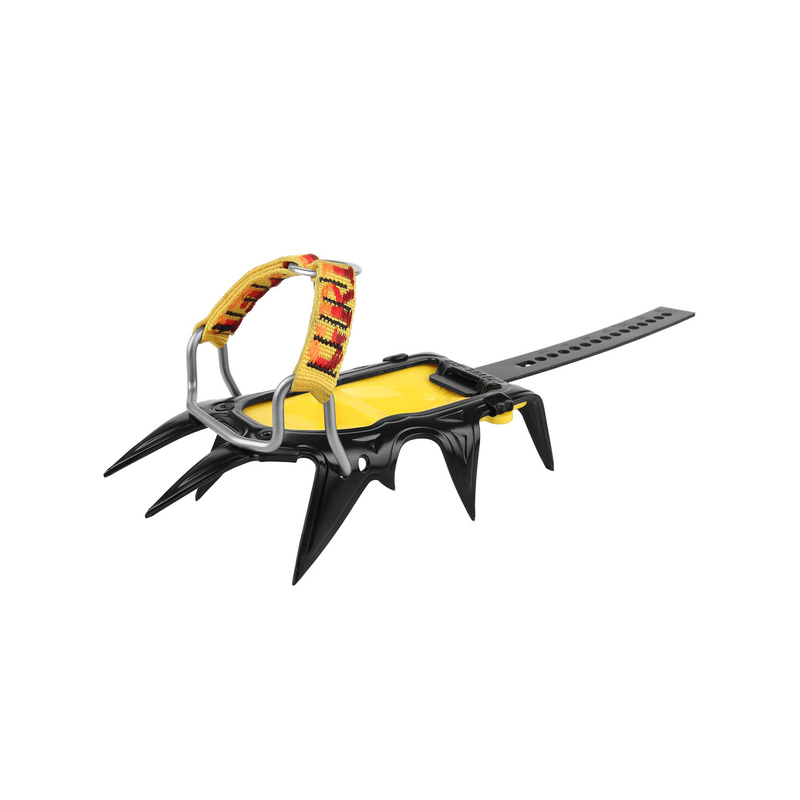 The Grivel C-o-M 2 NM Bail allows you to transform your CRAMP-O-MATIC crampon into a NEW-MATIC crampon. An evolution of the Cramp-O-Matic system which utilises the C-O-M rear bale and lever. The plastic harness system is hinged from two front posts which retain the boot securely even if it has a shallow, worn front welt or overboots are being used. It is a simple and efficient binding, being far more versatile than the original Cramp-O-Matic style. Made in dual-component plastic, the black part is stronger, to bear the strain, whilst the yellow part is softer, increasing adherence to the boot. The harness is made from the strongest, most durable plastic available, Zytel DuPont, which was developed for the manufacture of alpine ski bindings. Obviously it cannot last forever, so please, after long and severe use replace the harness the same way you would resole trekking boots or rock climbing shoes. To adapt you automatic crampons to mountaineering boots without toe TPU insert. A bit hard to fit by hand on the G12 crampons, but it works fine!